Soft-Boiled Eggs over Risotto-Style Red Quinoa Fill 1 Created with Sketch. This dish is our take on a French classic: soft-boiled eggs with asparagus and hollandaise. 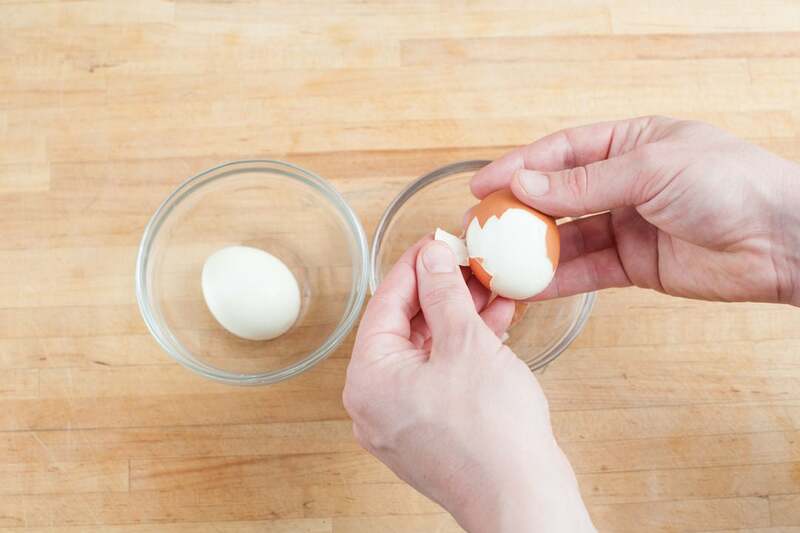 The velvety yolks of soft-boiled eggs go perfectly with the tender snap and fresh taste of asparagus. 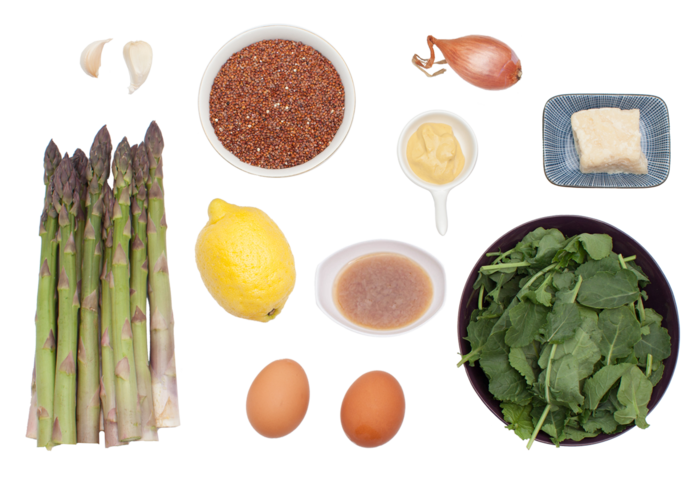 In our version, you’ll serve these eggs on a bed of lemony quinoa to soak up the yolk. With a zesty baby kale salad to top it off, this meal is classically delicious. Wash and dry the fresh produce. Heat a medium pot of water to boiling on high. Peel and mince the garlic and shallot. Remove the eggs from the refrigerator to bring to room temperature. Grate half the Parmesan cheese (save the rest for garnish). Trim or snap off the woody ends of the asparagus stems. Using a peeler, remove the yellow rind of the lemon; mince the rind to get 2 teaspoons of lemon zest. Quarter the lemon and remove the seeds. Place half the shallot in a small bowl with the juice of all 4 lemon wedges. 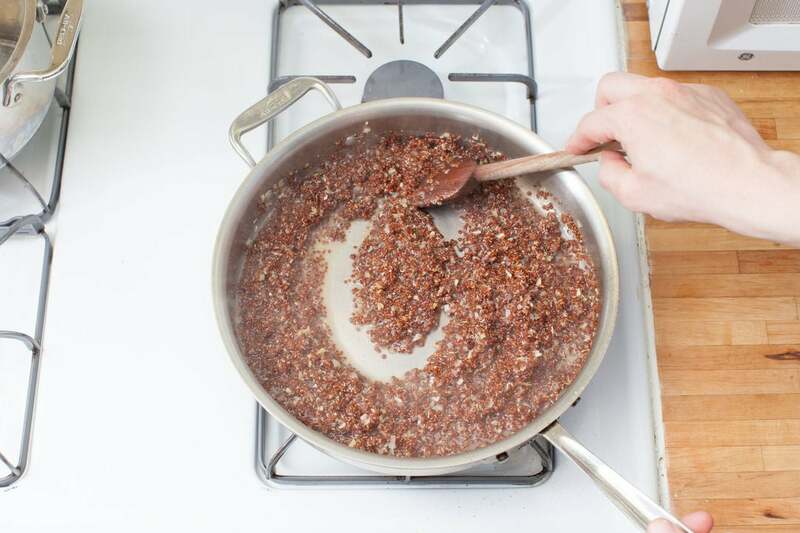 Rinse the red quinoa under cold water; drain thoroughly. Add the mustard to the shallot-lemon juice mixture and season with salt and pepper. 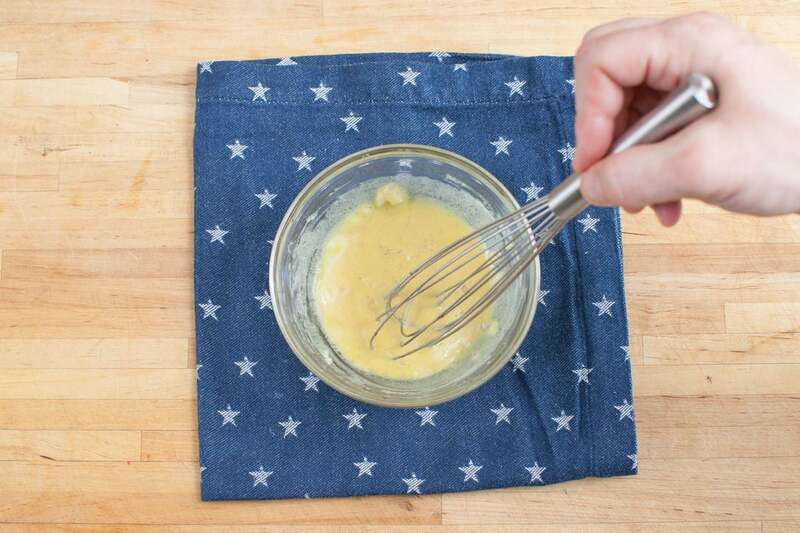 Whisk in 2 tablespoons of olive oil until well combined. Set aside as you continue cooking. In a medium pan, heat 2 teaspoons of olive oil on medium-high until hot. 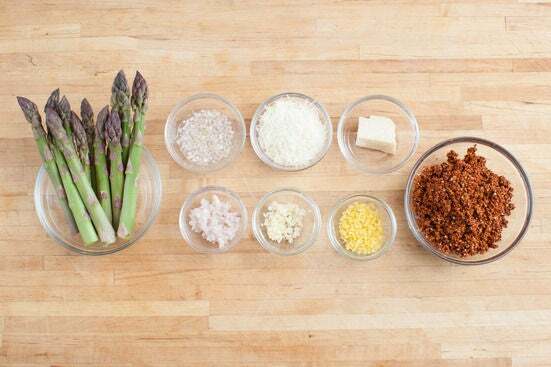 Add the asparagus and season with salt and pepper. Cook, stirring occasionally, 2 to 3 minutes or until bright green and slightly tender. 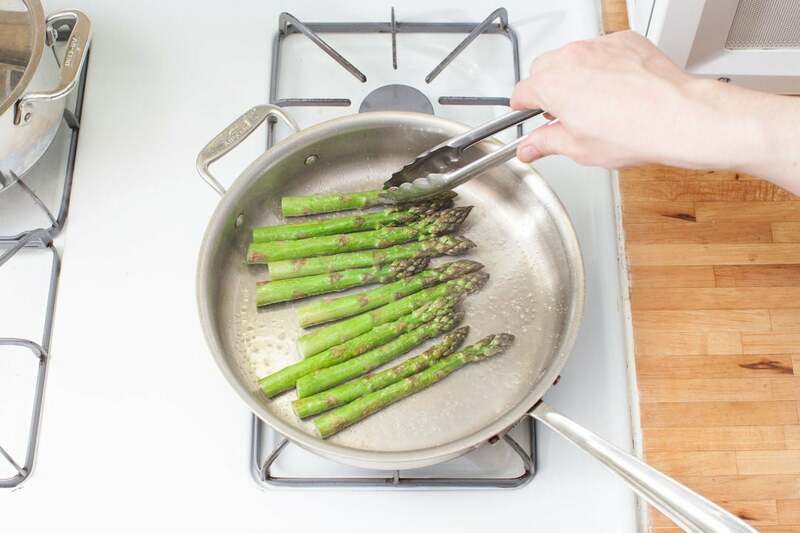 Transfer the cooked asparagus to a plate and set aside as you continue cooking. Wipe out the pan. In the same pan used to cook the asparagus, heat 2 teaspoons of olive oil on medium until hot. Add the garlic and remaining shallot and cook, stirring frequently, 30 seconds to 1 minute, or until softened and fragrant. Add the quinoa and toast, stirring frequently, 30 seconds to 1 minute, or until nuttily fragrant. Add the vegetable demi-glace, lemon zest and 3 cups of water; season with salt and pepper. Cook, stirring occasionally, 20 to 22 minutes, or until the quinoa is tender and cooked through. Turn off the heat and stir in the grated Parmesan cheese. 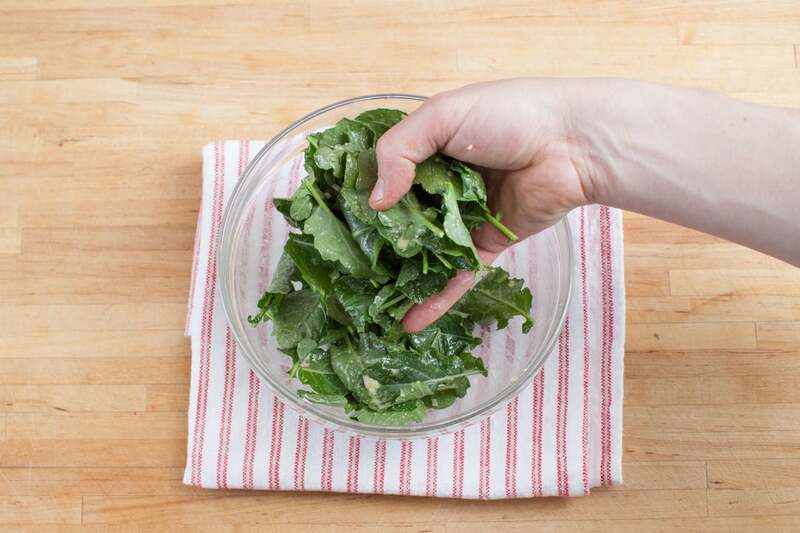 In a medium bowl, toss the baby kale with enough vinaigrette to coat the greens (you may have extra vinaigrette); season with salt and pepper to taste. 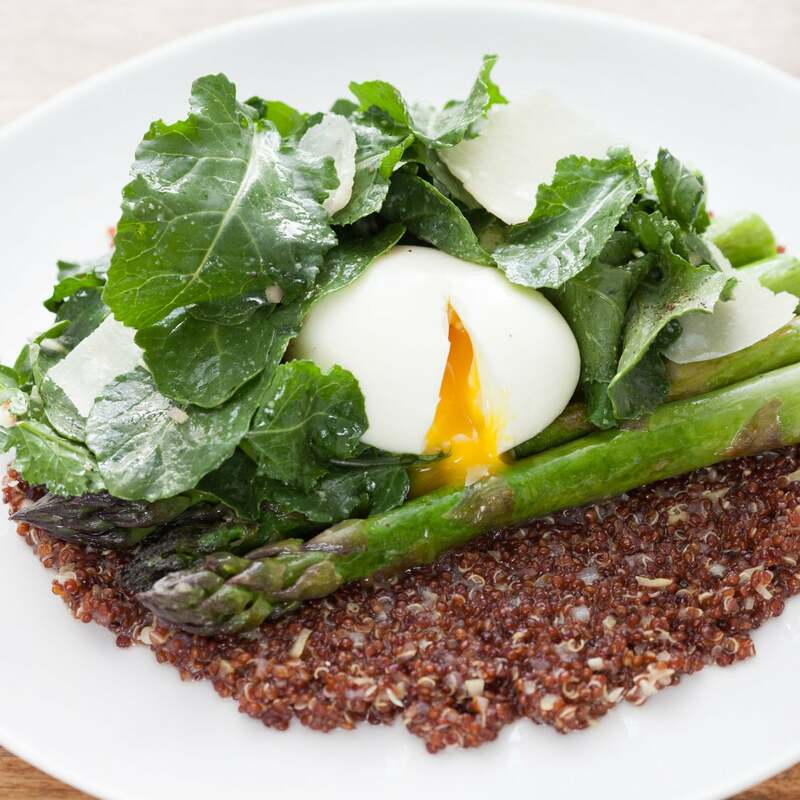 To plate your dish, divide the quinoa between 2 plates and top each with the cooked asparagus, dressed baby kale and a soft-boiled egg. Using a peeler, shave the remaining Parmesan cheese over the salad. Enjoy!